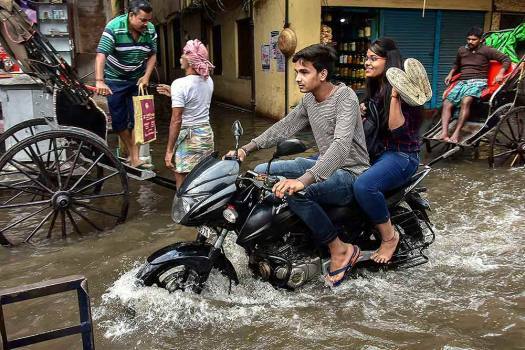 A motorcyclist rides through a waterlogged street after heavy shower in Kolkata. 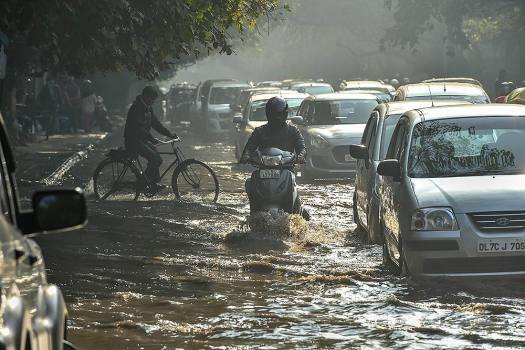 Vehicles move slowly through a water logged street after rainfall, in New Delhi. 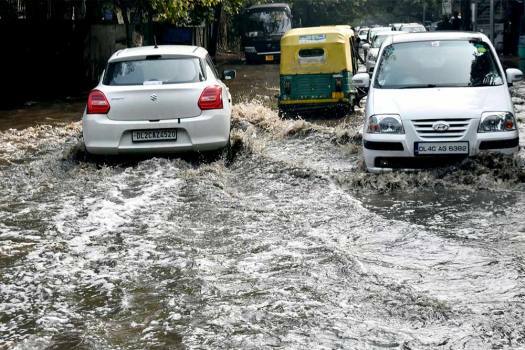 People commute through a waterlogged road, caused due to clogging of drains, near ITO in New Delhi. 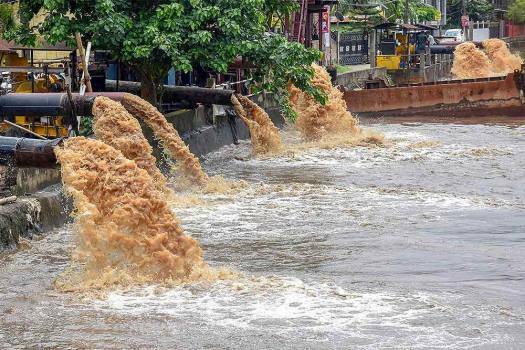 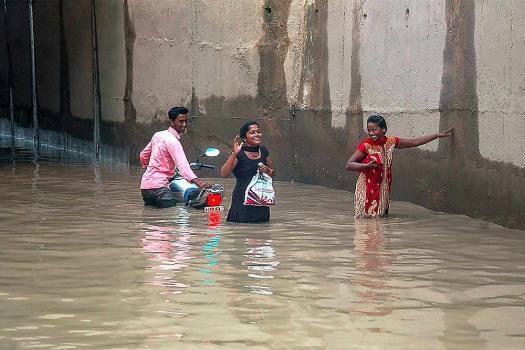 Waterlogging at a road after a breach occurred in a wall of the Mutha canal near Dandekar bridge in Pune, Maharashtra. 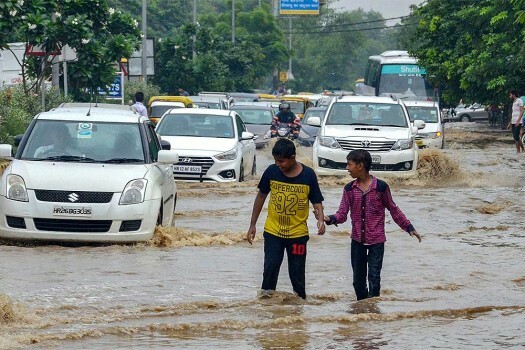 People walk through a waterlogged street after rainfall, in Gurugram. 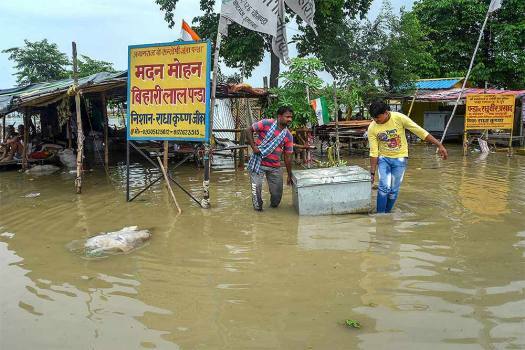 People move their belongings to a secure location as the water level of river Ganga rose creating a flood-like situation, in Allahabad. 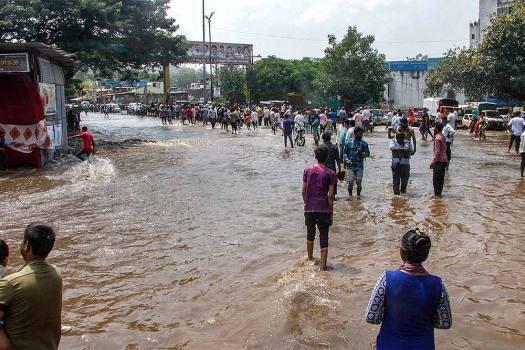 Pedestrians and commuters wade across a waterlogged street after monsoon rainfall, in Patna. 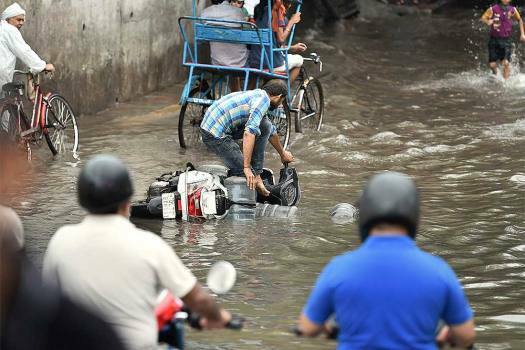 A two-wheeler gets struck on a waterlogged street following monsoon rainfall, at Mandawali road in East Delhi. 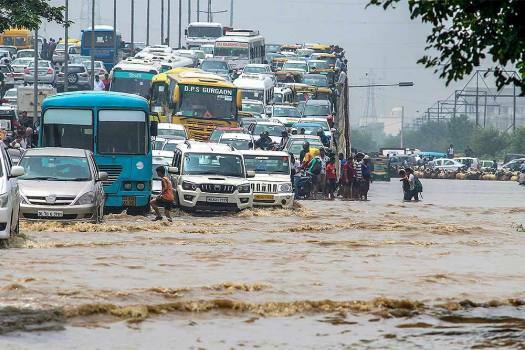 Commuters wade across a waterlogged street following monsoon rains at AIIMS flyover, in New Delhi. 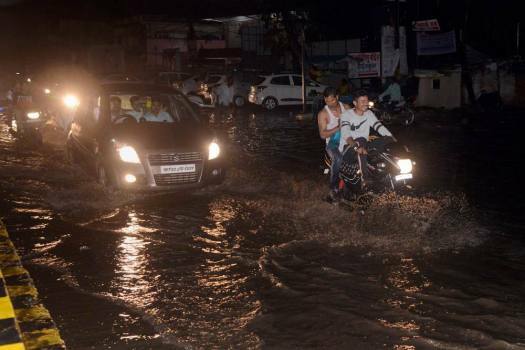 Rain water being pumped out from a waterlogged street after monsoon rainfall, in Guwahati. 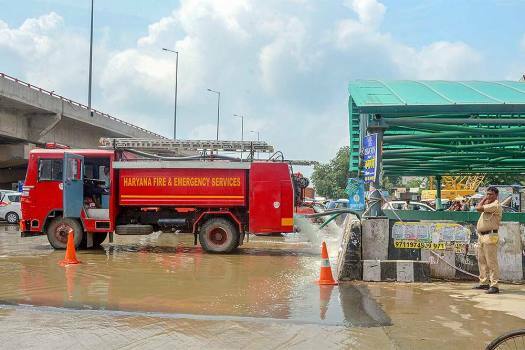 Fire department personnel clear rain water collected near the underpass after monsoon rainfall, in Gurugram. 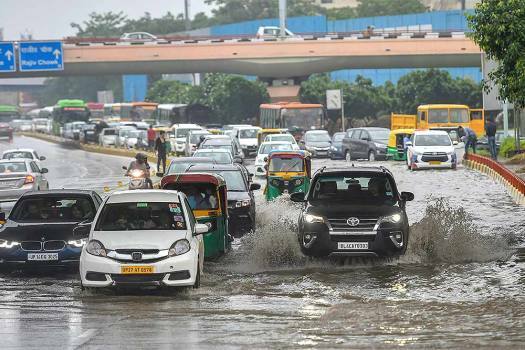 Vehicle wade through a waterlogged road at Subhash Chowk after heavy rains in Gurugram. 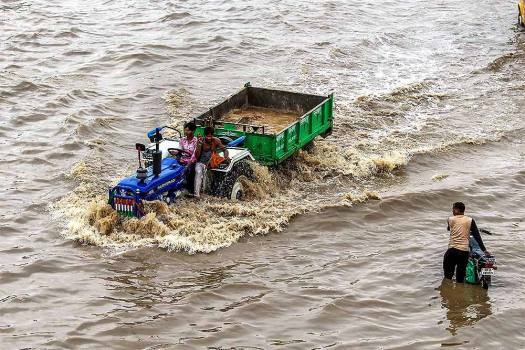 A tractor wades through a waterlogged road after heavy rains in Gurugram. 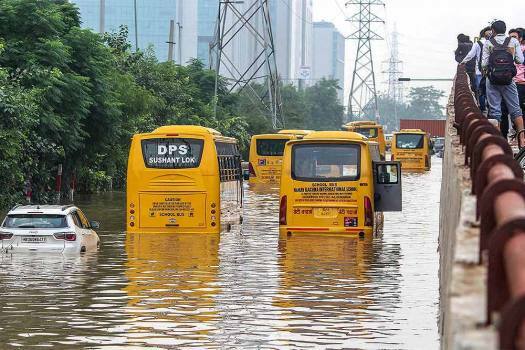 School buses moves slowly at a waterlogged road after heavy rains in Gurugram. 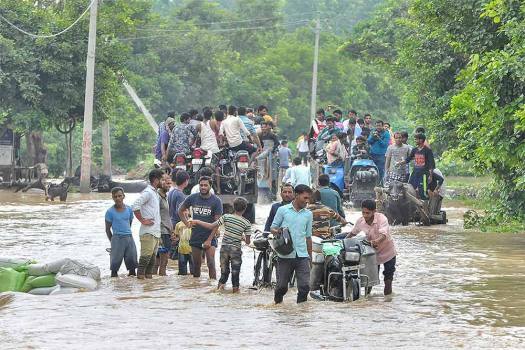 People wade through a flooded road as water level of Ramganga River rose in Moradabad district. 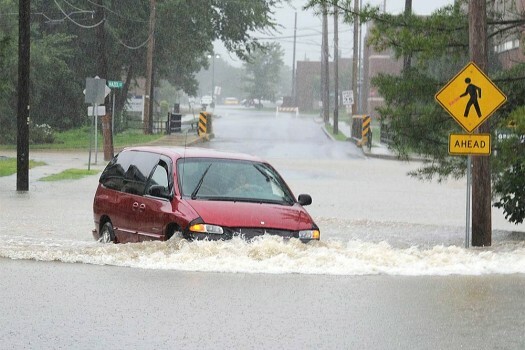 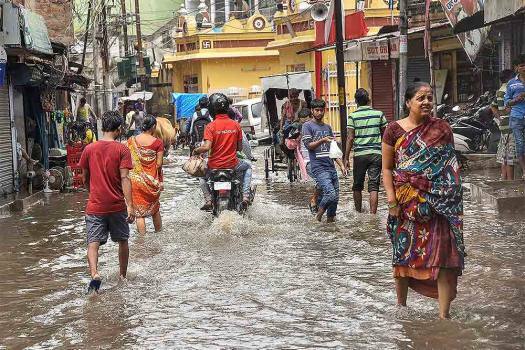 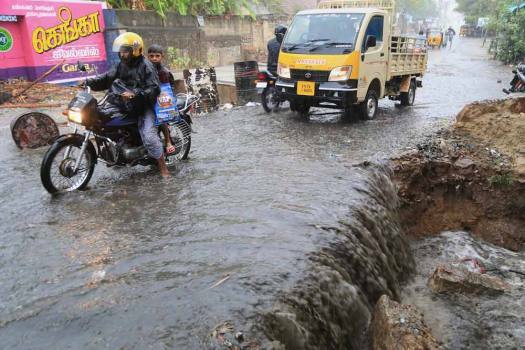 Rain has caused widespread damage in neighbouring Uttar Pradesh, with 16 people reported dead in 16 districts of the state in 48 hours. 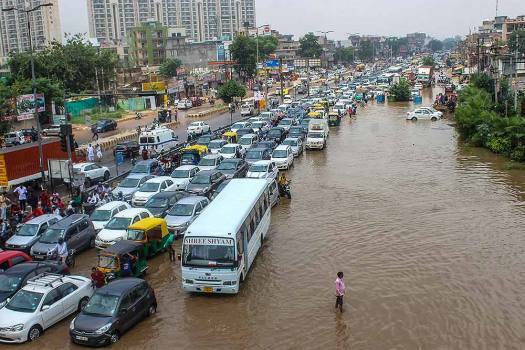 Delhi received 24.6 mm of rainfall in the last 24 hours and the weatherman has predicted the downpour to continue throughout the day.